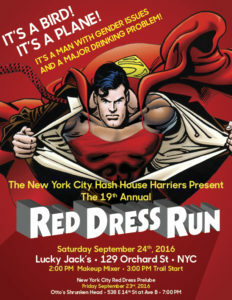 Hashers attending this event will have the opportunity to donate to the great charity Back on My Feet again this year. Somewhat controversially, a charitable donation is not included in your $30 hash cash, so the collection box will be at the on-in and you can kick in as much as you want/can afford. 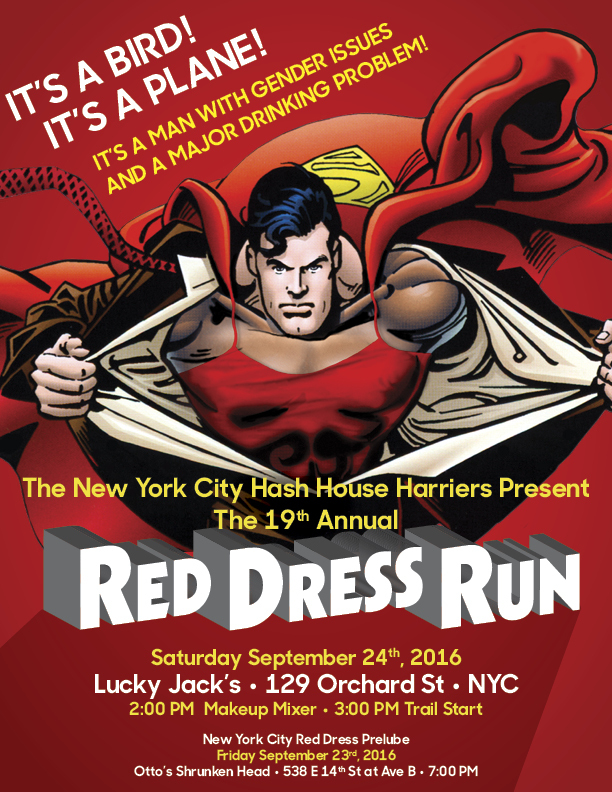 Saturday 3PM: Red Dress Run trail from Lucky Jack’s. Their flyer is available here, and the hareline showing all the events in and around the New York City area is here.